This is post in response to reader who had some questions about what this thing he has seen on websites called RSS is. If you’ve done any browsing on the World Wide Internets, you probably have notice a little symbol that looks something like this. It’s an icon for a data format known as RSS. If you want the full definition and explanation, visit the wiki article, but for everyone else, here is the 50 cent version. RSS is a simple page on a site that lists that last 10 or so new posts/articles from a particular site or blog. This blog is an example of one that does (look on the right sidebar to see the link). Every time a new post or article gets written, the RSS webpage, known as a RSS Feed, gets updated. However, this page is not very user friendly, as its stored in XML (View this sites RSS FEED, to see how ugly it is). As you can tell, these pages are not meant to be visited by humans. Instead, there are tools known as RSS Readers that will read these RSS Feeds, and display the information in a human readable fashion. The really cool feature about RSS Readers, is you can have many different feeds from a whole slew of sites in one RSS Reader. It doeesn’t matter Mac or PC (yes, the order was intended), there are a whole slew of apps for reading RSS ready for your use. Just do a google search (Mac or PC) and you will see a plethora of options. Usually apps are nicer looking, but you must be at your computer to use them. The other choice is to use a webapp, namely Google Reader. This is nice, because you can access your feeds anywhere in the world, but you must use a browser and not your pretty app. If you have a Google Account (think Gmail or Google+) than you already have access to Google Reader (if not, you can sign up for free). Just go to google.com/reader and you will be able to get started. Just paste in the feeds of the blog you would like to follow (here’s a good one to start with :), and then let RSS do the rest. You should see articles appearing and now whenever you come back to this page, you will be able to see all the latest posts from across the internet. Quick note: One nice feature about Google Reader is the fact that it syncs with many desktop apps, so you can access your RSS Feeds anywhere in the world from a browser, as well via your nice looking app you have on your computer, and they will all sync together. I guess you can have your cake and eat it to. I have been a big fan of RSS for sometime and have used it to keep up on the latest topics and trends about the things I’m concerned about. However, a new trend has occurred that has caused me to switch how I do things. I now use Twitter to curate the news for me. I just make lists of the different blogs I would like to follow, since most blogs tweet whenever they launch a new post, and I can see the new post the next time I check the Twitters. This may not be for everyone, but if RSS sounds confusing, scary or just boring, you might give it a try. So what about you? Do you use RSS, Twitter, or do you not see a point to either of these tools? For those that are not aware, Google has launched its own foray into the Social Media game (again), but this time has invested even more of its technological clout than any of their previous attempts. It is called, Google+. The short and quick version is, Google created a Social Network based on Circles (ie Family, Friends, Work, etc) that you can place different people into. It has a home page that is very similar to Facebook News feed. The features Google will try to differentiate itself is the way it will tie into all its existing services (an easy share bar on all Google Pages, integration with Picasa Web Albums, a slick Group Video chat that works pretty smoothly , Youtube integration and more). Its just launched on Wednesday, so time will tell if it will succeed or just be another Google Social Media flop. I will not give a detailed review about it, since you can find much better reviews already written. Instead, I figured I would just share a couple thoughts about what this means and could mean for Social Media. 1. Competition – Sure, there may have been other so-called Facebook competitors, but lets be realistic, this is the first actually decent sized competition to Facebook. Adding another player to the game will increase competition, and in the end I think that will be good for all. Facebook has a lot of weak points, but up until now, there was not a huge impetus to fix them , since they were the only real player in the game. 2. Fragmentation – I already check Facebook and Twitter to keep up on people I want to know about, I really do not want another place to have to look for updates, pictures and information about people, especially since there is such an established place currently. However, I’m sure people will soon be posting on Google+, and I can’t really expect to see that same information on their Facebook account. 3. Features – Facebook is a Social Media Company first, meaning they live and die by their product. For Google, this is just one of many of their products, so if it fails, big whoop for them, they just keep going. This is good and bad as Facebook will make sure it is a success, Google is given freedom to experiment and try different things, which we all know they will do. However, Google has often fallen prey to their brains, as they will sometimes implement features that are technologically amazing, but that most people just do not care about. Having the most techy site never means the best. Time will tell if Google can overcome this, like they have in other areas (Search, Gmail, Google Maps). What about you? Whatcha think? Is Google+ a good thing or a bad thing for Social Media? I don’t know about you, but I love listening to music while I work. It really helps me to stay engaged as I work and allows me to be more productive, especially during those spots when I would rather be working on something else. To help my love for music, I’ve tried some different playlists in iTunes to play throughout the day, but a playlists only last so long, and can be played so many times, before it gets old, and then I have to break my workflow to go find more music. Not very productive. Enter Pandora. If you haven’t seen it, check it out at pandora.com. You type in a song, and it will analyze that song and then play music that is similar to that song, creating your own customized virtual “Radio” station that will draw from tens of thousands of songs. And the best part is, this service is free to all. Seriously, check it out. 1. You can listen to Tens of thousands of songs that you don’t own, legally for free! 2. Music will always being playing. Instead of creating a playlist that only last for an hour, before repeating, I now can listen to music all day without ever having to select music. 3. You can find out a lot of new good music that you were not aware. Now, once you’ve used it for a while, you’ll notice a couple downsides about using the free version. 2. Flash. Not sure about Windows computers, but on my Mac, just having the Pandora open in a browser, slows my computer down so much. Its really annoying. 3. Hard to Control. If your like me and have a ton of tabs open in many different windows, it can be really difficult to pause or skip songs when you need to. Thankfully, they have fixed these problems, but before I tell you about that, go check it out if you haven’t yet. If you have, what are your favorite stations? If you haven’t checked out the google homepage today yet, you must (http://google.com in case you need the link). It is a real-live-fake playable guitar. Just move your mouse over the string and make pretty music. The super cool feature it has is a record button that will allow you to record your masterpiece and send it to all your peeps. Check out this lovely renedition of “Amazing Grace” from my brother. Now for the real kicker..instead of using your mouse, try the keyboard. It plays just like a piano with the middle set of keys functioning as the main notes, letter a = the note C, s = D,d = E, etc. and the top and bottom as half notes. And if you cant get to this before June 9 is over , you can always check it out at http://www.google.com/logos/ as well as many other awesome Google Doodles. (Pac-man Anyone?) Thanks jmeyering for the link. Check it out, and post back links to your masterpieces for us all to enjoy! My background with technology is relatively extensive. I remember programming RPG games with RM2K when I was 13-14 years old. I was into programming BASIC when I was in High School and I’ve recently gotten my feet wet programming Android apps with Java but I really don’t have much time in my life to spend there. I have a long history with Android as both an outside observer and a user. I remember my jaw dropping while I watched the commercial for Android’s first phone the T-Mobile G1. Since then I have followed every Android release while waiting patiently for my contract with AT&T to end. My mouth dropped again watching the commercial for the Motorola Droid, and subsequent HTC EVO 4G. I was lucky enough to snag an HTC EVO for me and my wife a few weeks after the launch and we have loved it for almost a year now. My contract is up this July and I’m so excited for the HTC EVO 3D that was just announced. I am a total Android fan and get a bad taste in my mouth whenever someone mentions an Apple product. That being said I will attempt to persuade you to make your next Smartphone purchase an Android. 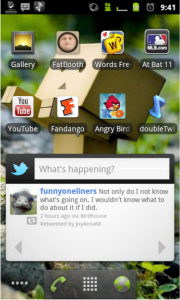 Android is a Linux based mobile operating system that was purchased by Google in 2005. Since its debut in 2008 Android has seen explosive growth and the latest phone version 2.3 (Gingerbread) was released last December. Android is now the number one Smartphone in the United States and number two in the world (Behind Symbian). Android is not one specific phone but rather a family of well over one hundred devices. The most well known Android phones are the “Droid” line from Verizon. There are many advantages to purchasing an Android powered device and I will try to provide some of the most convincing here. Android phones are like people, they come in all sizes and shapes. So you aren’t stuck with one design choice. Android phones come in all kinds of sized from 2.5 inches to 5 inches, there is something for everybody. If you like a vertical keyboard like a Blackberry you can go with a phone like the Droid Pro. If you prefer a slide out keyboard you can get a phone like the Droid 2 or the Epic. If you prefer a 100% touch screen phone, you can get an EVO 4G, Droid X or Nexus S. Not being stuck to one form factor is a major plus; instead of teaching yourself to get used to a new design you can get a device that works best with your tastes and preferences. Unlike most other mobile operating systems Google gives Android to Smartphone manufacturers for free, allowing them to build lower cost devices. 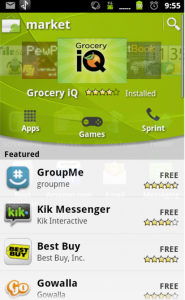 On every carrier you can find free Android powered smart phones. Free phones like the LG Optimus have truly impressive specifications for the price and provide a first rate Android experience. This makes Android great for the budget conscious individual who wants to get a Smartphone. On the other end, free software means that manufacturers can provide devices with more features for less than their competitors. For example the iPhone 4 on AT&T costs $199 with a 2 year contract; if you went Android you could pick up the Atrix 4G for the same price. The Atrix has twice the processing power of the iPhone, a larger screen, 4G capability and other enhancements. High powered android phones have become known as “Super Phones” because they have an amazing amount of features for a reasonable price. Android makes the best use of “The cloud.” The cloud is a new buzzword that refers to storing data in online servers instead of personal devices. If you have a Google account, you are all set to get started in the cloud (If you don’t its easy and free to get one). Google’s cloud allows contact lists, calendar events, and downloaded apps to be stored for free online. If an Android user loses his phone all he needs to do is log into another Android phone and all his data will be there. The Apple iPhone has a similar free feature but in order to use it you need to use a cable to sync your device with the iTunes program on your Mac or PC and if you haven’t synced in a while or your computer gets fried you stand to lose a lot of important data. Apple does allow you to sync iPhone data to the cloud using “Mobile Me” but a user must pay a subscription fee of $99 per year to get access to this feature (That makes for a truly expensive phone in the long run). 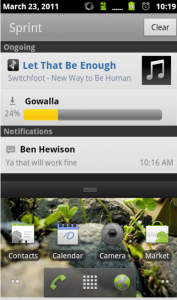 The recent Android operating system has a very beautiful interface. There are 5 “Panels” that can hold apps, widgets, shortcuts, or folders. 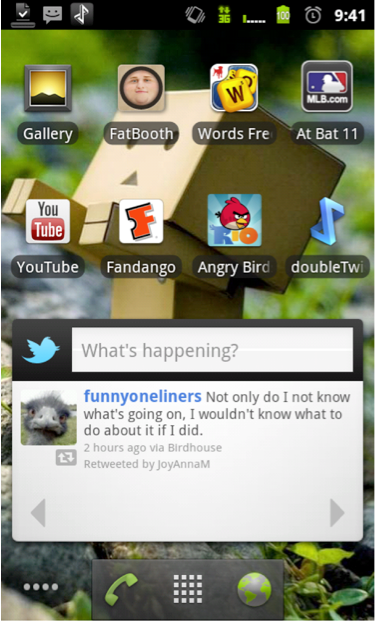 Widgets sit on the home screen and display incoming information like recent text messages, and Twitter or Facebook posts, etc. this allows users to gather information without actually having to open an app. Widgets can also display information like the time or weather in a really eye catching way. The way Android handles notifications is beautiful. The top bar drops down with your finger to display ongoing activities as well as current text messages, emails, voicemails or app downloads. The notifications are unobtrusive meaning they won’t interrupt you if you are in the middle of playing a game or surfing the web. Google releases new versions of Android every six months and each update gives speed, battery, and usability improvements. In just two and a half years Android has morphed from a rather ugly and clunky interface (1.5) to a beautiful user friendly version (2.3). These improvements are only expected to continue and improve in the coming months and years. There is a lot of talk about the “problem” of Android being “fragmented.” Some say because there are a lot of Android devices running different versions of the OS, it makes it complicated for users to figure out which apps work with their particular phone. I would dispute that claim by saying that I have yet to hear an average Android user actually complain about the version their phone is running, and the Android market negates issues with app compatibility. To me fragmentation is a non-issue and one that some geeks tend to blow out of proportion. The Android Market is the Android equivalent of the iPhone App Store and Android currently has about 150,000 different applications available for download, 75% of them being free. While Android’s app totals are currently smaller than the competing App Store, the majority of major apps on the iPhone can be found on the Android Market. According to recent analysis – the Android Market is also growing at three times the pace of Apple’s App Store. The bottom line is – whatever you may be looking for in the Android Market you are likely to find it and if its not there, it probably will be soon. Google’s apps which come with every Android smart phone (Gmail, Maps, Navigation, Calendar, News, Youtube) are fantastic. These apps are a great reason to purchase an Android powered phone. If you use Gmail, the integration requires no set up at all. Maps is a very smooth experience which now shows buildings and monuments in 3d. Navigation is a free turn by turn GPS navigation app, so you can ditch your expensive Garmin, TomTom. Calendar is synced directly to the web and accessible by any PC or Mac. Google apps create a great experience for users who already enjoy using Google services and are a great starting point for those who don’t. Google has demoed and is expected to soon announce a “Google Music” service which will allow you to store your music in the cloud and stream it to your phone, certainly a huge leap forward in music storage technology and one that will certainly be a major selling point for Android. There are so many more advantages to owning an Android phone, Flash support, sideloading, app freedom, rooting, alternate keyboards, music storage freedom, SD Card expansion… There is too much to contain in a single blog post. 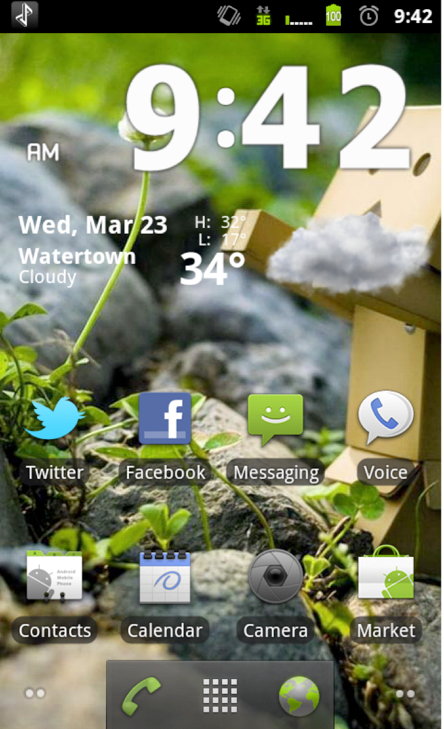 The possibilities with Android are nearly limitless and it doesn’t look like its going to slow down! Android is the best choice for me personally because the form factor of the EVO is exactly what I want, I don’t want to go back to a screen size less than 4 inches. I like to have freedom in what I can do on my phone. I do not want to be tied down to a particular piece of software like iTunes to run my phone. On the geeky side I also enjoy customizing my phone to suite my personal tastes through optional home screen replacements or alternate ROM’s but that’s just me. If you have any questions on why I believe Android is the phone for you please contact me, I would love to answer your questions. Last week I ran two articles on why your next phone should be a smart phone / dumb phone. This week I will post two articles on why your next phone should be an iPhone / Android Phone. Today’s article is from Jeremy Horneck, and he will be giving reasons on why your next phone should be an iPhone. Mark asked me to answer the question, “Why should my next phone be an iPhone?” Frankly, that’s a difficult question to answer because I don’t know if your next phone should be an iPhone (due apologies to Steve Jobs, peace be upon him). In my opinion, the most exciting part of the current state of smart phones is that an iPhone shouldn’t necessarily be your next phone. There are countless options for countless different types of people. Instead of telling you why you should get an iPhone I’m going to describe myself to you because I am a stereotypical iPhone user. I think that is the better approach to the Android v. iPhone v. Blackberry v. WebOS debate at this point. I am reluctant to describe myself as image conscious because I don’t want to sound like I am too into myself. However, I enjoy art. I like redecorating my house. My MacBook has an 80s retro Apple logo sticker on it. I am very persnickety about the clothes I wear (sometimes). My favorite TV shows include such masculine programs as Top Chef, Project Runway, and anything on Food Network. I wear pink. I just like to look good and I like being ahead of the curve on image related things. That’s part of why I like an iPhone. It just looks good. I love the hard edges and sleek minimalism of the iPhone 4. I love the elegant simplicity of the Apple logo. No other smart phone approaches the sleekness of the iPhone. This extends to all Apple products. Have you seen the iPad competitors? They are hideous. Not only does the iPhone look good it has apps that are more “artsy.” No other OS has anything to compare to Hipstamatic or Instagram and I love both of those. If this sort of thing matters to you, you might like an iPhone. One of Apple’s slogans is, “It just works.” I love that. When I pick up my iPhone I know it will work. The truth is, beyond app availability Android can do everything an iPhone does and do it with more power. However, I don’t need to think about my iPhone. Whatever it does it does extraordinarily well. Sometimes, this is limiting. 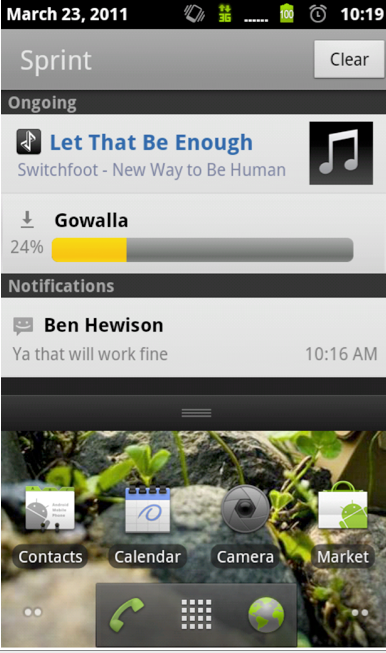 I miss several aspects of Android (notifications, widgets, home screen contacts, etc. ), but those are sacrifices I am willing to make because I don’t have to think about how to use my phone. I just use it. When I used Android I had to think a lot more. It has many more features than iOS. Sometimes, I don’t want more features. I just want simplicity. I love to find new stuff. People make fun of me because I always have something cool to share that I just found out. I am a dream customer for most companies because I get very excited when I discover them and love to share what I’ve discovered with others. Right now I am spreading the good news of Zotero, Dropbox, Evernote, Toodledo, Synergy, BetterSnap, Aviary, and countless others. I just love finding new ways to do things that make my life better. Because of the vibrant app marketplace that iOS provides I am able to discover new things all the time. Android apps are not as polished as iOS apps and there are not nearly as many of them. I enjoy browsing the App Store and finding new apps. I never felt that way in the 1.5 years I had an Android phone. Android games are terrible. iOS offers many excellent games. Not much more to say on that. I need me some Cut The Rope and Tiny Bird when I’m killing time; Android does not offer that. This is certainly using the term lightly, but I am a scholar. I love Greek. I enjoy serious academic Bible study. Accordance and Logos apps on the iPhone are game changers for me. As of yet, Android does not have those things. In conclusion, it really comes down to the apps. All but one of my reasons that iPhone is right for me were app related. Android, Blackberry (remember when people used that), and iOS can’t touch the app store. If you aren’t much of an app person go with something else. The strength of the iPhone is its apps. May I suggest that if you don’t think you will use apps you may want to consider a WebOS device. Almost no app store, but I believe that WebOS is the best designed OS of all four major American systems. What it really comes down to is you. Who you are. What you like. What you hate. That is a good thing. It is much better to chooses the OS that you like than to choose the “best” OS. There really isn’t a “best” OS. Just one that is best for you. If you are like me and have not taken the plunge into the world of iPhones, Android’s or BlackBerries, you’ll be happy to know it is possible to survive in this big, bad world without such extravagancies. First, a little history of my own cell phone usage: I did not have my own cell phone until I had graduated college (yes, you read that correctly – and I’m only 27). My parents had a two-phone plan where they shared a phone with the brothers at college (so in some ways I did have access to a cell phone). We switched to a 5-phone plan after I graduated college. As our family’s phone usage grew and we were strategically placing numbers on our “Circle of Friends” we discovered a new way to spend our money – Texting! Look out world! My own plunge into texting came through the interest of a cute blonde named Ranae. She had texting, and I knew I wanted to be chatting with her as much as humanly possible, so I convinced my parents to add texting to our plan. If you are content with a simple phone call to a friend or family and don’t want to mess with texting, then you are entitled to keep it that way. I will warn you, once you decide to add texting, you’ll probably never go back. I am in no way implying that texting is bad, but once you discover the ease of use and the multitude of times that you can shoot someone a note before forgetting it – you’ll be hooked. In the early days of texting, carriers would suggest several plans of 50/100/500 texts per month. Most carriers today just offer an Unlimited Text Plan because it’s so easy to go over whatever limit you think you’ll be at. 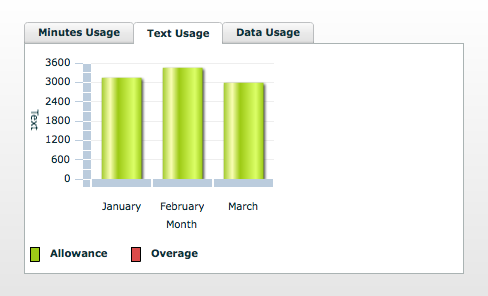 Here are two graphs from my last 3 months of texting and calling. One of the biggest questions used to be: “How can you survive without a cell phone?” It is pretty hard to accomplish a normal person’s errands without at least a cell phone these days. It used to be normal not to contact someone for hours or days, but we have become so accustomed to the instant connection between family and friends that it would be harsh to stop that altogether. A trip to the grocery store never used to involve a phone call to ask if we forgot anything, and if Johnny forgot to tell you that he didn’t have soccer practice today he would be waiting for a couple hours for you to arrive (happened way too many times to me). Alternatives to owning a SmartPhone. I currently use the LG Cosmos. [To be fair this is techically a “Feature Phone” and not “Dumb Phone” but it’s more fun to say it that way.] It was the free phone @ Wal-Mart when we renewed our contract and it works great. My wife (the previously mentioned Ranae) and I really like these phones because of the full keyboard that flips out for easier texting. To stay connected to game scores and even to ‘google’ things, I’m able to do that right from my phone without a separate “Data Plan” other than texting. The information may not be as instantly accessible, but I’ve come to appreciate these services. 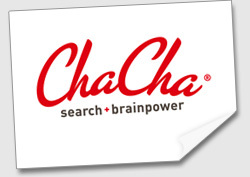 ChaCha is like having a smart friend you can call or text for answers on your cell phone anytime for free! ChaCha works with virtually every provider and allows people with any mobile phone device – from basic flip phones to advanced smart phones – to ask any question in conversational English and receive an accurate answer as a text message in just a few minutes. Simply text your question to 242242 (spells ‘ChaCha’) or call 1-800-2ChaCha (800-224-2242) from your mobile phone to ask any question. What are you waiting for? Ask away! This service can help you find out where the closest Apple Store is, or tell you when the Packers play their next game. It’s pretty simple to use and I use it regularly. 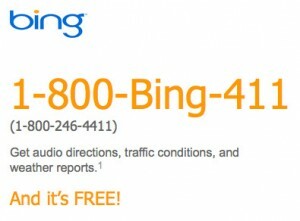 Bing 411 is a complete phone directory at your finger tips, or in this instance at the sound of your voice. Just call this number and tell the computer what town you’re in and what business you’re looking for, and it will read back your options just as if you were searching for it on the computer. 4-Info is an incredibly useful service for keeping up-to-date on Sports Scores and News Updates. From your phone, text your favorite sports team (i.e. Minnesota Twins) and 4-Info will send you the latest scores and news from your team. If you’d only like to know the final score, you can customize it exactly how often you want to know updates. I currently have 4-Info (or as I have renamed it on my contacts “ESPN”) set to send “Twins” updates at the end of every game. During the playoffs last season, I had it set to update me at the end of every inning and whenever the Twins scored. Now that’s pretty cool. You can also visit alerts.4info.com to customize your teams and manage when you want to receive alerts. Facebook and Twitter both allow for updates from cell phones as well, which is really handy. I also carry my iPod Touch (8GB, 2nd Gen) everywhere I go, which allows me to look at spreadsheets and documents through DocumentsToGo. If I am in a coffee shop I’m able to get everything that a SmartPhone would be able to, and a planned route on Google Maps works pretty well even after leaving WiFi. If you are waiting to take the plunge of a SmartPhone, hopefully this will give you some free options to save you some time and money. 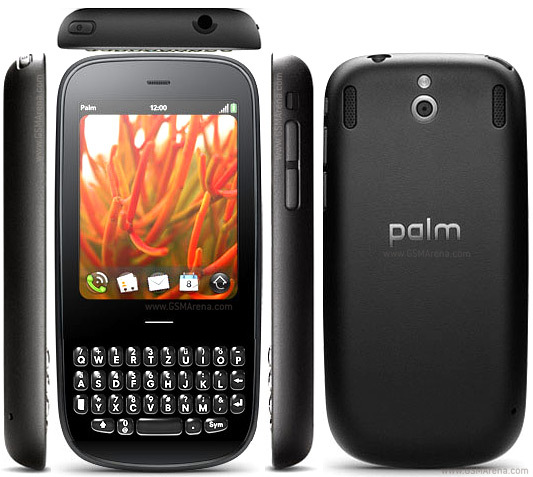 Truth-be-told I will soon (tonight to be exact) be taking the plunge into the SmartPhone market as I just bought a Palm Pixi Plus that will allow WiFi Tethering to my laptop and/or iPad (hey, I can wish). 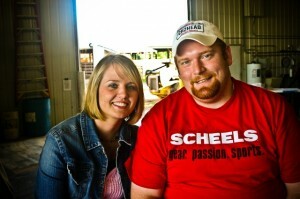 Micah Tanis is a M.Div student at Central Seminary in Plymouth MN and serves as a Pastoral Intern at First Baptist Church and Athletic Director at Saint Francis Christian School in St. Francis MN. I’m beginning a series on a topic that I think is applicable to everyone, Cell Phones. Nowadays, just about everyone’s got one, but what one should you buy the next time your contracts up? Should you get a Smart Phone or a “Feature” phone (aka. Dumb Phones)? Should you go Android or iPhone? I will be posting some articles over the next week that offer different opinions on these topics. Today’s is a guest post from one of my friends, Jeremy Horneck. He will be offering his case for why you should get a smart phone and tomorrow my brother, Micah Tanis, will post on why you do not need a smartphone. Take it away, Jeremy. The world is becoming smart. Well, at least the world is starting to use smart phones. The individuals using those phones may or may not be getting smarter. Currently, the smart phone market is filled with a variety of phones with diverse features. This diversity provides the ability to get a phone perfectly suited to an individual’s needs, but brings with it a confusingly large array of choices. To get to the meat of choosing which operating system to use we first must understand what a smart phone is and whether it’s worth having. To do this we have to answer three questions: 1) What does a smart phone do? 2) How much does a smart phone cost? 3) How will a smart phone help me? What does a smart phone do? The most common line that divides smart and dumb phones today is their internet connectivity. Most cell phones have some level of internet connectivity, but a smart phone uses the internet as its primary source of data. This allows the phone to share (sync) data between a home computer, the internet, and the phone. A good example of this is the calendar. The calendar on my smart phone syncs with my Google calendar, which can be accessible by me, my wife, my boss, etc. This functionality is based on internet connectivity. A smart phone allows access to the internet itself. If you are looking for a place to eat you can pull up Google maps. If you can’t figure out what other movie that actor was in you can use IMDB. These core features are all internet related. How much does a smart phone cost? This question is not easy to answer. Cell phone costs can be deceptive. In order to get a good understanding of cost we need to factor in several levels of cost. First, there is the cost of the phone itself. I just bought the Verizon iPhone for $200. You could purchase last year’s AT&T iPhone for $49 (free if you were willing to accept a refurbished phone with a cosmetic blemish). The new HTC Thunderbolt comes out on Verizon later this month for $250. However, the cost of the phone is the least important of the three levels. When you purchase a phone for this price the carrier subsidizes your purchase. The Verizon iPhone actually costs $599, but the carrier is willing to pay $400. In exchange for this deal you basically sell your soul to Verizon for 24 months. To get out of this contract you have to 1) Lie 2) Move out of the country 3) Die or 4) Pay a $350 early termination fee. That brings us to the second cost is the cost of the plan. The lowest plan is generally going to be $40 per month on the major providers. You will be paying this for 24 months. 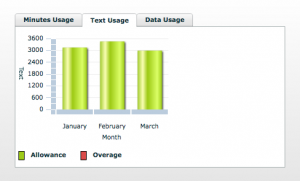 The third level of cost is the data plan. 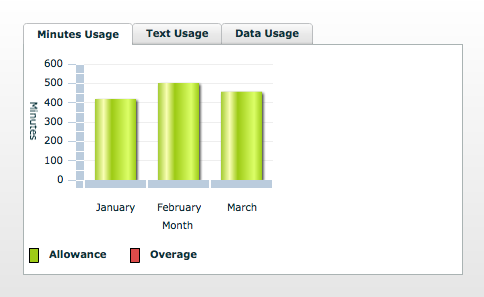 Generally, this will cost $20-30; most carriers require that you have a data plan if you have a smart phone. Lower level carriers offer lower prices (Sprint, T-Mobile [for now], and regional carriers) while upper level carriers offer better phones and coverage (Verizon and AT&T). Because of these three price levels, your final cost for an iPhone on Verizon (or another smart phone on another carrier) is actually somewhere in the neighborhood of $1900 when you factor in the 2 years of data and voice that you are obligating yourself to. Of course this doesn’t figure in extra minutes or txt messages. For some reason, the carriers don’t want you to think about that number and instead will push $200. Lest we be too shocked at the high price, let’s also consider that a dumb phone will end up costing about $1000. Of course, there are measurable cost savings with having a smart phone (e.g. you can find free txt messaging solutions that will save you $5-10 per month) as well as other expenses (e.g. I’m going to find it difficult not to plunk down $1.99 for Angry Birds Rio on my iPhone this evening). Now that we have the depressing numbers we will look at the usefulness of a smart phone. How will a smart phone help me? This question requires a lot of information because different people will use the smart phone in different ways. To give some examples of how a smart phone can help you we will look at several case studies over the next few posts. These case studies are real events that took place in my life where I found my smart phone indispensible. Imo, one of the greatest advantages of smart phone is their high quality cameras. In October my wife and I became parents of a little boy. This is the first great-grandson for 6 living great-grandparents and 4 living grandparents. He’s also the first nephew for 3 uncles and 2 aunts. To top it all off he is stinking adorable. Pictures have been in high demand. If there isn’t a new one up every few days or so, I feel the wrath of angry grandmothers. On my iPhone I have a couple apps for photography. My favorite is Instagram. Instagram takes square format pictures and grunges them up with some retro looking filters. It makes for some cool pictures that can be quickly posted to Facebook. I can get out my phone, take a picture, and post it in less than 20 seconds. I think that is great. So does my mom. Case Study #2 – Where’s the beef-like substance? Two weeks ago my wife was working in Milwaukee on a Saturday morning. Wanting to spend time with her, I went with her and waited at Starbucks for her to get done so we could go on a date. While I waited I paid for my drink at Starbucks using their gift card app, which allows me to pay my Starbucks bill without even getting out my gift card. I sat down and watched some English Premier League games on my Foxsoccer.tv app. When Anna was done with work we went to the best burger place in Milwaukee, Sobelman’s. I had a Groupon for a $15 meal that I was planning on using my Groupon app to redeem. Unfortunately, everyone else in Milwaukee had the same idea. Because the restaurant was so full that we would have waited at least an hour to get in we decided to go somewhere else. We went to another burger place instead, Stack’d. Unfortunately they were understaffed and we were told we would have an hour wait there. We needed to find another place to eat. I pulled out my iPhone and fired up Yelp!. The Yelp! app gave me a few ideas to eat (one of which was closed in spite of their posted hours saying they were open). We ended up eating at Wicked Hop. The food was not good. However, I knew that going in because I was able to access reviews from my phone; unfortunately, I chose to ignore them. While we were sitting at the table waiting for our check I was able to post my scathing review on Yelp!. Not really a happy ending, but it reviews have helped in the past. I’m not really an organized person. I’m about to embark on the next stage of my career path and would like to do a better job of being organized. To help me in that endeavor I have been learning about the GTD method of time management. At its root GTD is about organizing everything you need to do into specific folders. There is no “GTD tech” and the founder of the method claims that it is tool agnostic. The important thing is to use tools that you enjoy. Since there are no tools I enjoy more than my MacBook Pro and my iPhone I searched for tools in those contexts. What I found after a week of searching was toodledo.com. This great (free) service provides internet based to do lists with tons of customization. When I put a to do on my toodledo list it is automatically sent to my iCal on my phone. There is also an iPhone app ($3.99) that will sync with the web app. I haven’t fully implemented this, but I already feel more organized. Not only am I not very organized by nature; I’m also not very thrifty. My iPhone is loaded with several money saving apps. Mint helps me budget. Groupon helps me save money while still doing fun stuff. Clearcheckbook helps me not bounce checks. Square allows me to take credit card payments on my phone. Red Laser allows me to comparison shop on the go. There are countless smart phone tools that can help with saving money (which is important if you’re dropping $1900 over the course of 2 years:). That is a summary of smart phones. You need to make the decision for yourself. I think it is important to realize that smart phones (like all technology) make fun, useful tools, but they are horrible gods. I love my iPhone. I recommend it to people all the time. There are lots of great things to do with it. However, I need to realize that more than anything else in my life, my iPhone can be my idol. That’s kind of sad, but it is true. I hope my summary gives you an idea of what a smart phone can be used for without elevating it to a status that it is certainly not worthy of. What are your thoughts? Is smart phone the way to go? Let us know in the comments. If I only had a nickel for every Forwarded chain email I’ve received, I could quit my full time job. While they do fill up my inbox way too often, the more annoying thing to me about Chain Letters is the content. I’ve received too many emotional or politically charged stories that are suppose to be just the most amazing/horrific thing ever, or another reminder to get my cell phone on the Do Not Call registry, or … ( I could go on, but I’ll spare you the pain). Unfortunately, (well, I guess actually fortunately) over 90% of these letters are FALSE. They are nothing more than hoaxes drawn up to get people like you to send them to all your friends and see how many people’s inboxes they can plague. I’ve seen people of all sorts of different ranks and positions get fooled by these, and it really needs to stop. But how are you supposed to know what is legitimate and what is just another hoax. I want to introduce you to an amazing site, that will help you out with the slew of email forwards. Snopes.com It’s a website, specifically designated to this exact thing, figuring out whats true and whats not with tons of rumors. A quick example how to use the site. I received one of these unfortunate emails yesterday, about how the UK was going to stop teaching about the Holocaust. I punched in a few words from the email into snopes.com’s search bar and was directed to this article: http://www.snopes.com/politics/religion/holocaust.asp Where I discovered the email failed in conveying truthful information. So next time you get a FWD:FWD: email claiming some sensational truth. Please do three things. Email the person back and let them know they might want to send a correction to their email. Please do not forward it along to me. Hope this helps, let me know what crazy rumors you have received news about. Well, the Artist and Hollywood have enough money, and I’m so poor. There not losing any money, since I’m just transferring digital files. I’m wasn’t going to pay to go see it anyways so there not losing money. And then, many other people don’t even have an excuse or care. For some reason, we think its just not an issue to copy around music and videos that other people spent hundreds and thousands of hours on. I was there once too. Its really tempting, especially with how much music/videos you can get so quickly. No one will ever find out? The fact is that laws are are not ours to tamper with and interpret as we see fit. The ruling is clear: according to the laws of the land and the copyright of those who own the music, we have no right to copy or distribute it. Period. It makes no difference how much money the record companies make, how rich the artists are, how poor we are or how annoying and outdated the laws may be. It makes no difference how much we despise the militancy of the record companies and their irrationalities. So what do you do if you have done this already? First, ask God for forgiveness, then Delete all your music or go about buying it the right way. What’s your thoughts? Do you see it more a grey area then black and white? Let me know.